Partnering with Father Matters is a way we can change our communities together. We would like to encourage everyone to partner with us to help make our communities a huge success. Many of us count our blessings, and give generously to various charities, and to people in need. It’s a beautiful, wonderful thing. However, we often overlook another group who also has needs: Fathers. There are many men who are struggling out there in a variety of different situations. Some are working through personal issues, some are dealing with financial problems, and many suffer from depression. Sometimes the stress will cause men to turn to drugs, alcohol, even violence and other self-destructive behavior. Father Matters helps men recognize and deal with life-altering challenges through our many programs and seminars. 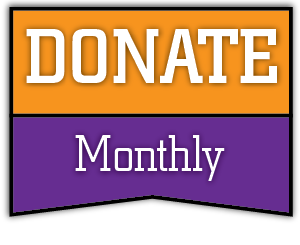 Father Matters, Inc. is a 501(c)3 non-profit organization that relies on individual, corporate, foundation donations, grants and contracted services. 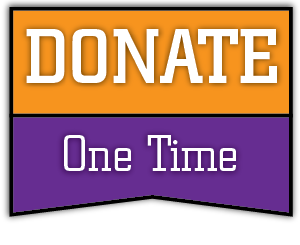 All funds raised go directly to Father Matters mentoring programs for families, which means that your donation will help important projects that service children and their families. Help us turn the hearts of men and women back to their children and families. Print out the donation form, fill it out and mail it with your check or money order to Father Matters, Inc P.O. Box 13575 Tempe, AZ 85284. Under a corporate matching gift program, gifts made by a company’s eligible employees to nonprofit organizations that meet the company’s guidelines are matched with company or corporate foundation funds. Please contact your Human Resources Department to see if your company has a matching gift program. Most of us want to leave a legacy but often postpone the planning, mandating the state’s management of our estate. Through planned giving, you can actually increase benefits to your heirs and provide for the future of our organization. Your gift can take the form of cash, stocks, bonds, mutual funds, annuities, real estate and other similar assets. For information on planned giving, please contact your tax or legal advisor. Planning and coordinating a special event, such as auctions, book sales, carnivals, concerts, golf tournaments or raffles, can be an exciting and challenging experience. Because state law mandates that all charitable special events be registered with the charity.